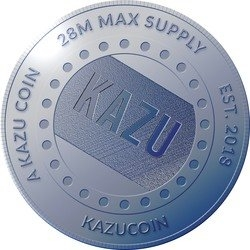 Kazucoin (KAZU) - Events, Price, Market Cap, Supply, Exchanges and more! Kazucoin by itself is primarily a stand alone Store of Value. Kazucoin's ultimate aim is to offer a payment system called Kazupay that subtracts the need to exchange back to fiat. This is one of the many features that will be introduced in time.